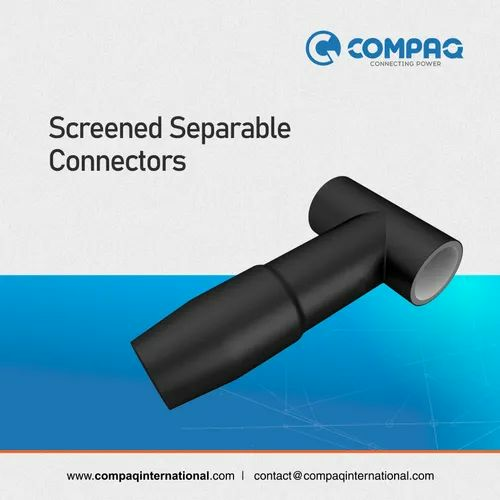 Compaq International (P) Limited is an ISO certified manufacturer, supplier and exporter of Heat Shrink & Cold Shrink Joints & Terminations Upto 66 kV,Polymeric Insulators Upto 66 kV,Polymeric Surge Arrester Upto 36 kV,GOAB & Do Switches. Compaq International Pvt. Ltd is a reputed ISO 9001:2008 and ISO 14001:2004 certified firm engaged in manufacturing, supplying and exporting a comprehensive assortment of Power Cable Accessories and Heat Shrinkable Termination Kits. The heat shrinkable termination offered by us are manufactured using superior-grade components, which are sourced from the coherent vendors of the market. Owing to the qualitative fabrications, our range is widely used in diverse industrial sectors for its attributes such as safe usage, shock resistance, compact designs and user-friendliness.